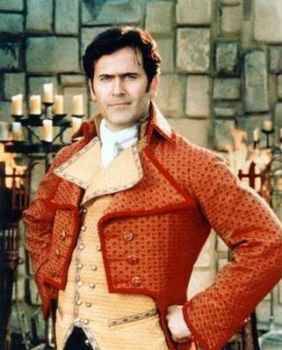 But no matter what he is in Bruce Campbell is ALWAYS noticed, and is one smoking hot Halloween Hottie! 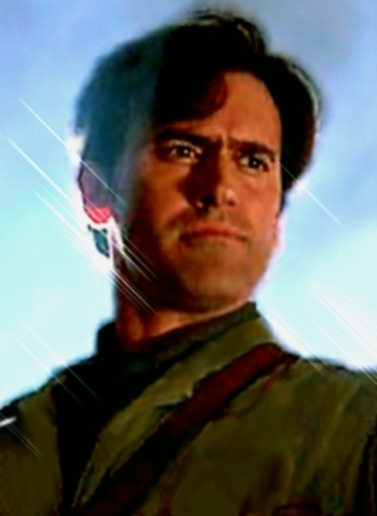 No the smoke isn’t from fighting off zombies and other creatures; it is from the sheer presence of Bruce Campbell. Yes, indeed. These photos don’t do him justice. You have to see him in action and hear that voice. Whew, turn off the smoke alarm and bring out the hoses! Follow Vampire Maman by email or facebook for more horror and gothic fun. This entry was posted in entertainment, Films, Gothic, Halloween, Halloween Hotties, Horror, Men, Monsters, Movies, Television, Vampire Culture, Vampires, Zombies and tagged B movies, Bruce Campbell, Burn Notice, Cult actors, Evil Dead, Halloween, Halloween Hotties, Horror, Smokin Hot, vampires, zombies. Bookmark the permalink. But you know how I love the boys! Check out the links for all the Halloween ladies including Kim Novak! LOL. 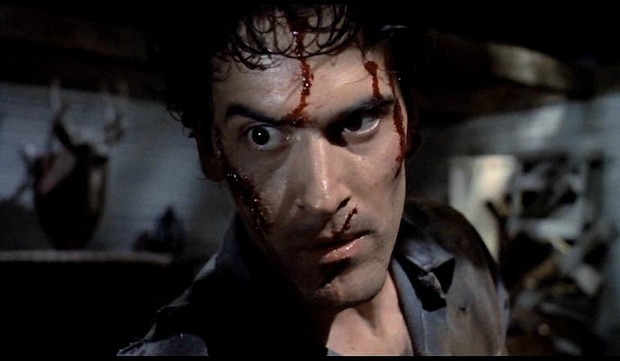 Bruce Campbell is one of my all time favorite actors. 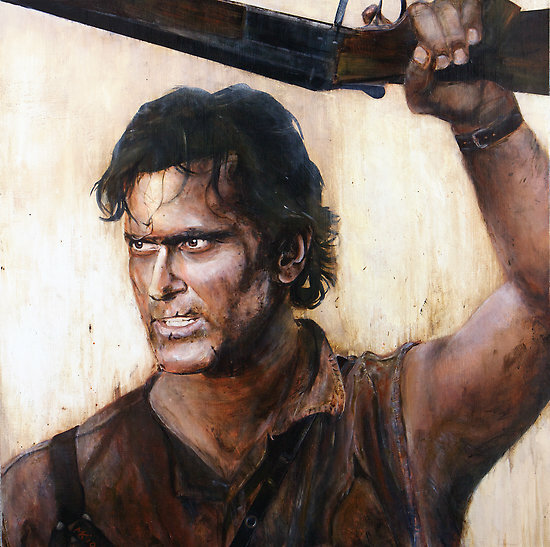 in fact, my wife and I just finished re-watching “Army Of Darkness”. This man is a class act all the way. 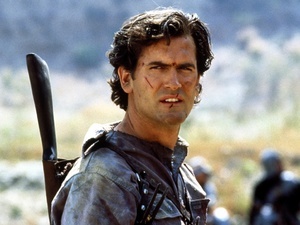 I have to admit that I’ve never seen Army of Darkness. I will have to get the kids together for a movie night (for their cultural education). 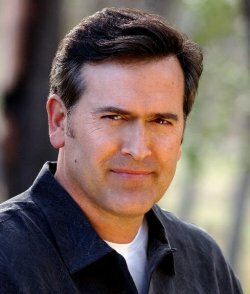 Bruce Campbell is awesome! *giggle*… dearest Juliette… how about the “one and only” Edward Cullen? Please, please, please… I can’t help myself… but I can’t STAND Bruce Campbell… maybe I’m weird? From what rumors say, Mr. Pattinson runs around unshowered for days… that’s what made me laugh just now. I never understood the Bruce Cambell thing, but I really wanted his Burn Notice character to have a happy ending! (No spoilers here). I was pretty sad about Madeline. But I think Sam and Jessie should have their own show to continue their partnership!